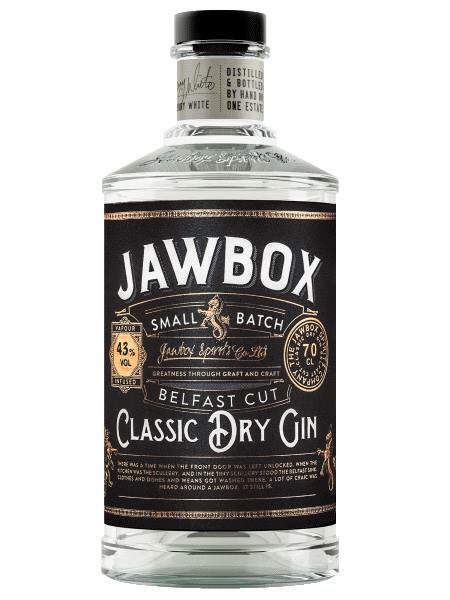 Jawbox Classic Dry Gin was created by a barman from Belfast called Gerry White. It's named after the big Belfast sink known locally as the Jawbox. 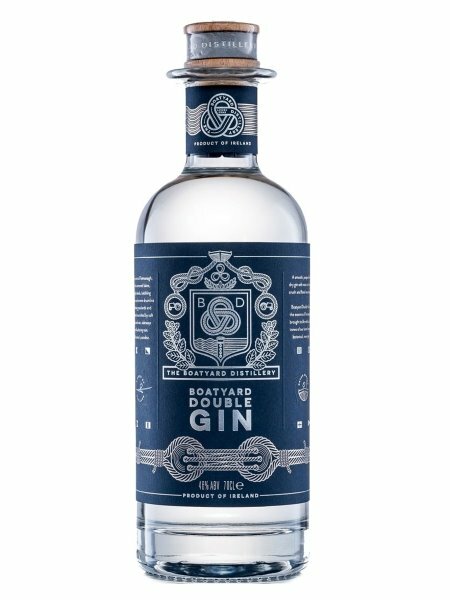 Gerry partnered up with Echlinville distillery on the Ards Penninsula to produce his gin. The base alcohol is triple distilled spirit made from Echlinville estate wheat. For this London style gin, both steep and boil, and vapour enfused methods were used. Gerry is proud to recommend the Belfast originated ginger ale in his preferred serve. 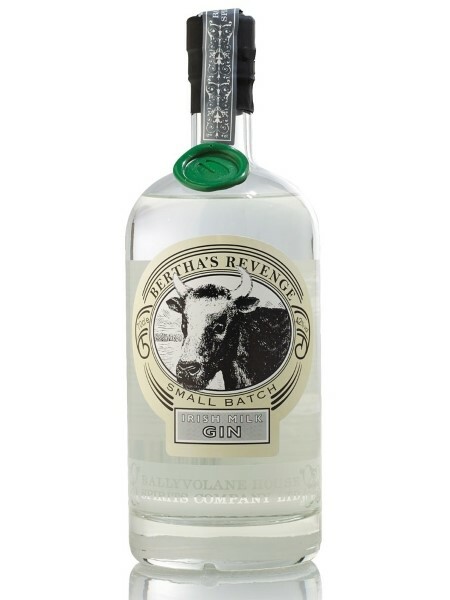 Ballyvolane House, Castlelyons, Co. Cork is home to Justin Green, where along with friend Antony Jackson they produce Bertha's Revenge Irish Milk Gin. Ballyvolane translates to Leaping Heifer. When the head distiller of Thames distillery floated the idea of using whey for the base alcohol for an Irish gin the brand started to come together. A local cream liquer manufacturer provided the whey base alcohol. Bertha, a record breaking 49 year old cow from Sneem in Co. Kerry, who produced 39 calves, brought the brand together. Julie and Rod Calder-Potts are 5th generation owners of their family farm in Kilkenny. Back in 1963 they grew hops on the farm, but converted to apple orchards in 1969. In the 1990s they went organic and currently produce apple syrup, cider, brandy and gin. They use their apple eau de vie as the base alcohol in the creation of their gin. 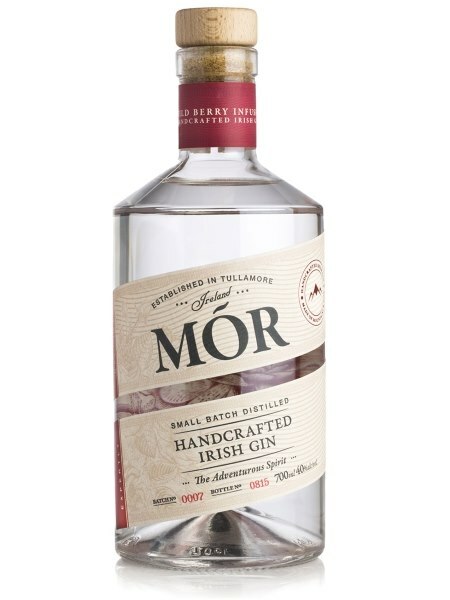 Eoin Barra, the grandson of a whiskey distiller from Tullamore Dew, is the creator of Mór Irish Gin. Eoin left a career in IT to follow his dreams of distilling his own gin. He travelled to South Africa (where his equipment was sourced), Germany, Canada and Scotland to learn the art of distilling gin, before setting up his Arderrin distillery in Tullamore. The Boatyard distillery was founded in 2016 by Joe McGirr. Joe has previously worked for Glenmorangie, Moet Hennessy and the London Distilling Company. His distillery is located by a marina, in a boatyard off the shore of Lough Erne in Fermanagh. Joe uses only organic ingredients with the base alcohol coming from distilled organic wheat. To make his gin, Joe uses an 18 hour steep and boil method, but also gives the recondensed spirit a second kiss of juniper through a filtration process derived from the Dutch. The gin is left to settle for two weeks before bottling. Bonac Spirits was founded by the father and son partnership of Michael and Gavin Clifford in Newtownmountkennedy, Co. Wicklow. Having left college in Ireland, Gavin travelled to the Hamptons in the US where he worked in the bar and restaurant trade. On his return, he set out to create his unique brand of Irish gin. 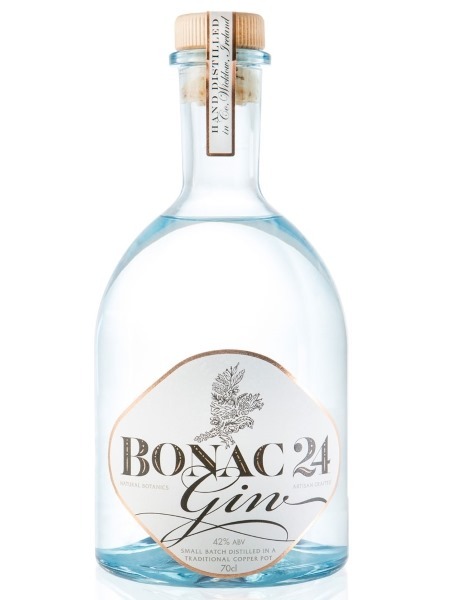 The branding of his first gin, released in 2017, comes from the Hamptons, aka Bonac, and the fact that the final receipe Gavin was happy with was receipe number 24. Since acquiring their stills in 2013, a group of founding friends have been producing poitín, whiskey and gin at the Glendalough distillery in Co. Wicklow. 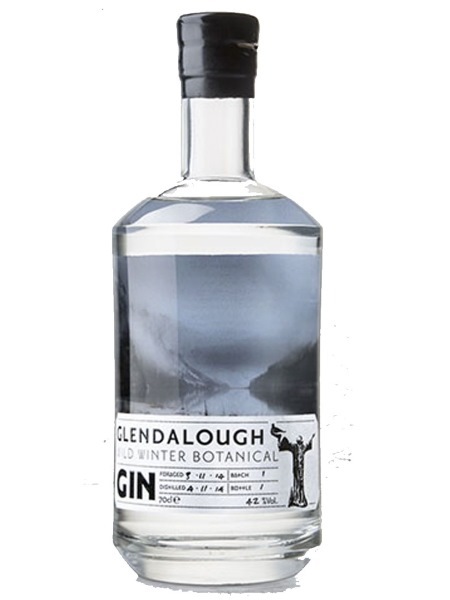 They create seasonal gins from freshly foraged botancials in the Wicklow mountains with the help of local botanist Geraldine Kavanagh. This is their Winter release. Listoke House in Co. Louth is home to Raymond and Juliet Gogan. Juliet is a decendent of the Stein/Haig/Jameson family dynasties. In 1777 Listoke House first appeared on a map. It was also the recorded year that the first spirit crossed over the Scottish border destined for the London gin market. 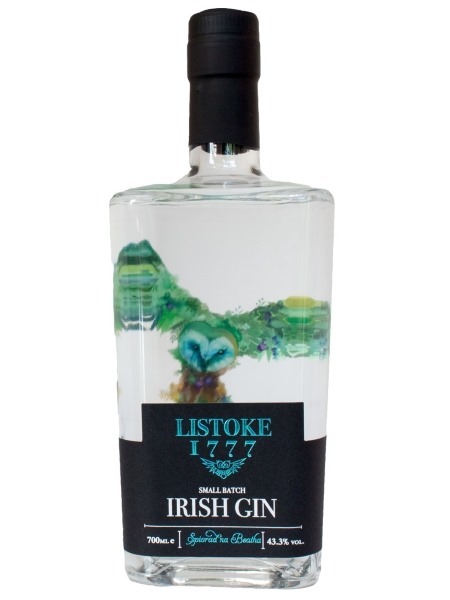 Listoke is home to Ireland's first gin school. The owl, depicted in the bottle with wings of botanicals is a nod to the two resident barn owls at Listoke, affectionately known as Gin and Tonic. 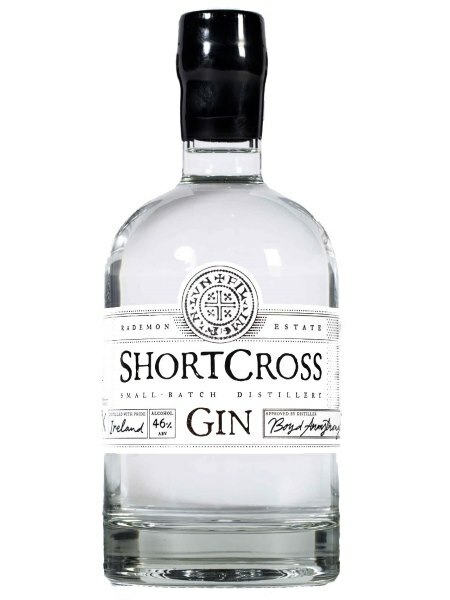 Shortcross gin was created at Rademon Estate distilery on the family farm of Fiona and David Boyd-Armstrong in Co. Down and takes its name, rather subtly, from the nearby village of Crossgar (Chríos Ghearr - short cross). The company was incorporated in 2012, with their still being fired up in 2013. Their gin receipe development completed in March of 2014 and use a wheat base spirit to create their gin. They have also laid down some single malt spirit that matures into whiskey in August of 2018. 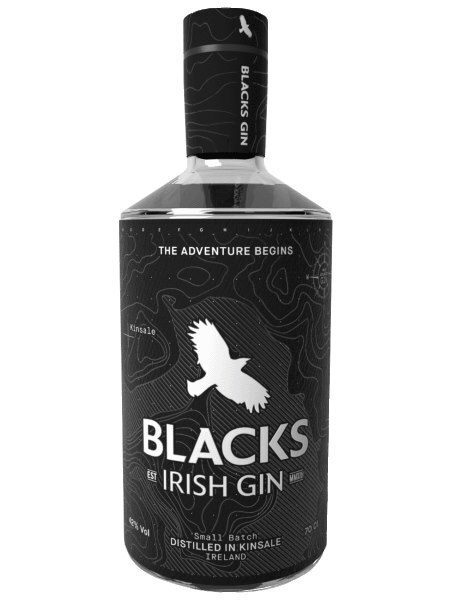 Blacks Irish gin is created in Kinsale, Co. Cork. Sam Black started out with a present from his wife, Maudeline, of a home brewers kit. That evolved into setting up a brewery, from which the Blacks have brought a succession of craft beers to the market. Not satisfied to focus exclusively on the beer, they installed a still and became the first brewery/distillery in Ireland. After Sam's first four attempts to establish a gin receipe, the hoppy influence in the flavour, coming from his brewing experience, was enough for Maud to step in, and receipe number 17 nailed it for them. Along with their beer and gin they also produce poitín, moonshine (US market) and the first Irish rum. 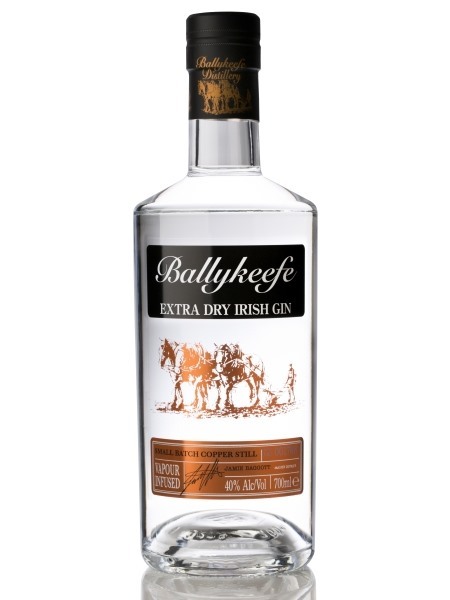 Ballykeefe distillery was founded by Morgan Ging on his family farm near Kilkenny. Morgan's master distiller is the infamous Jamie Baggott from Headfortshire in England. Jamie knows a good potato spirit, which he uses as the base for Ballykeefe's vodka and gin products. While working for the founders of Tyrell potato crisps at Chase distillery in England, his vodka was awarded best in the world 2010. Jamie combines 5 botanicals to achieve his extra dry effect, making it a refreshing taste, but irresistible to go back for another sip as the pallet dries out. Preferred Serve: Fill a Copa de Balon glass with plenty of ice, a slice of lime and ginger, give a good stir and top to taste with a quality tonic water. 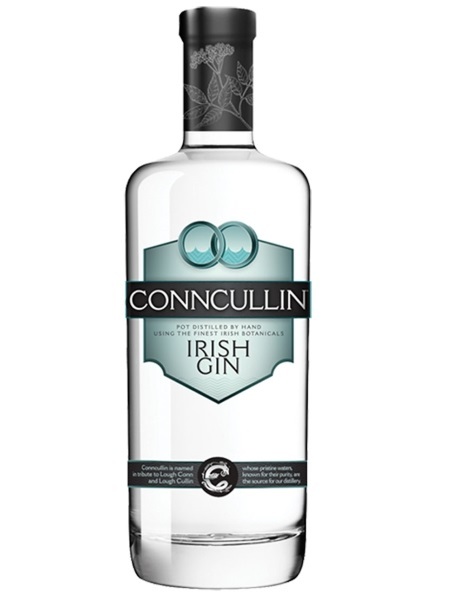 Conncullin Irish gin is produced by the Connacht Whiskey Company in Ballina, Co. Mayo. The recipe was created by master distiller Rob Cassell and is produced, along with the spirit being laid down for whiskey maturation, by distillery manager John Parks. 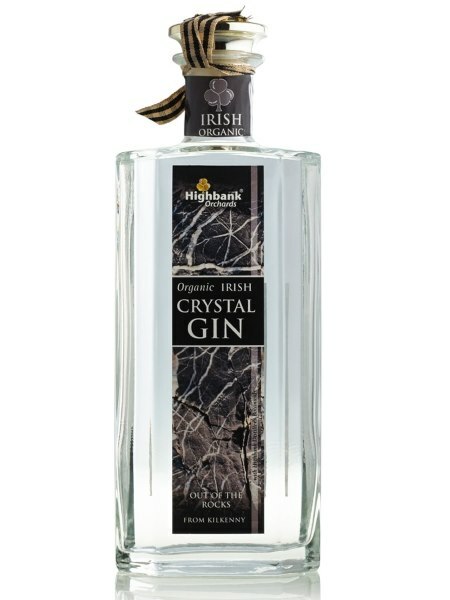 The gin takes its name from the two ajoining lakes of Lough Conn and Lough Cullin. © 2019 Acrux Beverages Ltd.